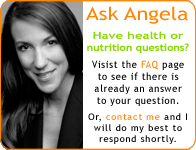 You are currently browsing the Nutrition Basics blog archives for the Nutrition category. Energy Bars CAN Taste Great! Beware of Fat…Is Saturated Fat the Answer?